I better post this now while I still have time. 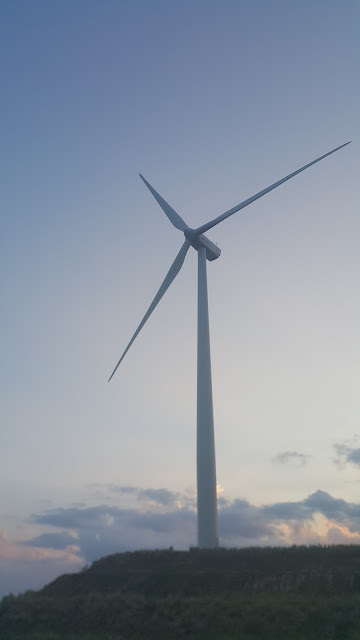 From our home in Cainta, it took us about an hour to get to Pililla, Rizal where the wind farms are. It is holy week so there aren't too much car on the road. We left at around 4PM, which is not a good idea, because we almost got caught in the holy week processions. The wind farm is operated by Alternergy Wind One Corp. There are a few restaurants along the road where the farm is but there are no fees whatsoever to visit them. Note that the windmills are scattered all over the area, you just pick a site you want. No need to wait for parking slot or find an entrance gate. We realized this when we drove further the road, away from the traffic jam near the restaurants. It wasn't too windy when we got there, but the mills are rotating. I am not sure why or how. Maybe I need to research further on that. 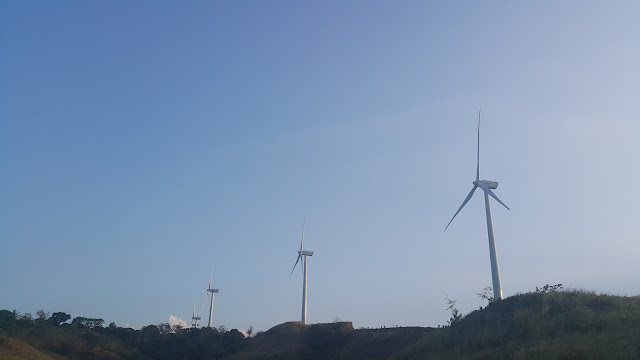 To get to the wind farm from Cainta, we drove to Antipolo and followed Manila East Road to Teresa and then Baras to Pilillia. Going back, we opted for an unknown road. 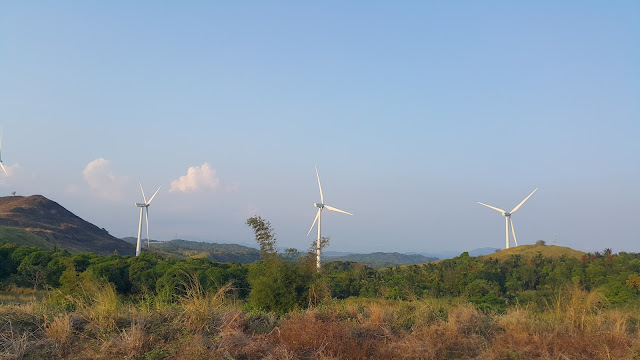 From the wind farm, the road will lead to a rough road among the mango trees which lead us to Tanay. After almost an hour, we found ourselves back to the main road of Pranjetto Hills. Thank God sunset came late today. Haha. I think this road is not even mapped in Waze or Google map yet. I don't think it closes.